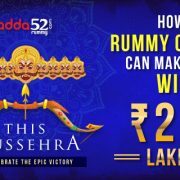 All that glitters is not gold is an old proverb and it is more important and relevant when it comes to logging on to websites especially for online gaming ..
Hey, rummy fanatics! We are here with another winner interview. 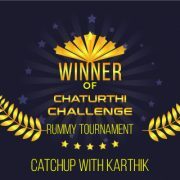 Catchup with Karthik, winner of Chaturthi Challenge Rummy Tournament at Adda52 Rummy First ..
Vijayadasami is celebrated across India with gaiety and piety. The Hindu festival marks the end of Navaratri. 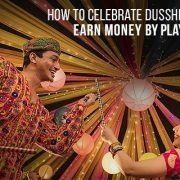 It is known as Dusshera, Dasara, or Dashain. ..
Time to rake in quick money Are you a Rummy aficionado? Are you smart and quick with your fingers. Are you looking for some handsome money at the time ..